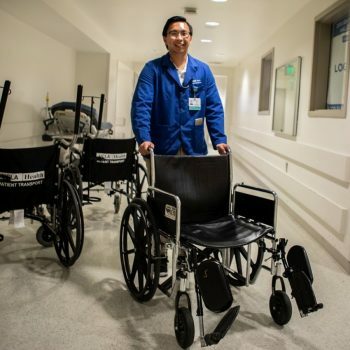 “Volunteering is something that is really rewarding and is a great experience,” says Jason Thai, a pre-med student who volunteers at Ronald Reagan UCLA Medical Center. “I volunteer in patient transport. Usually, I get a page or a call and help the patients go wherever they need.